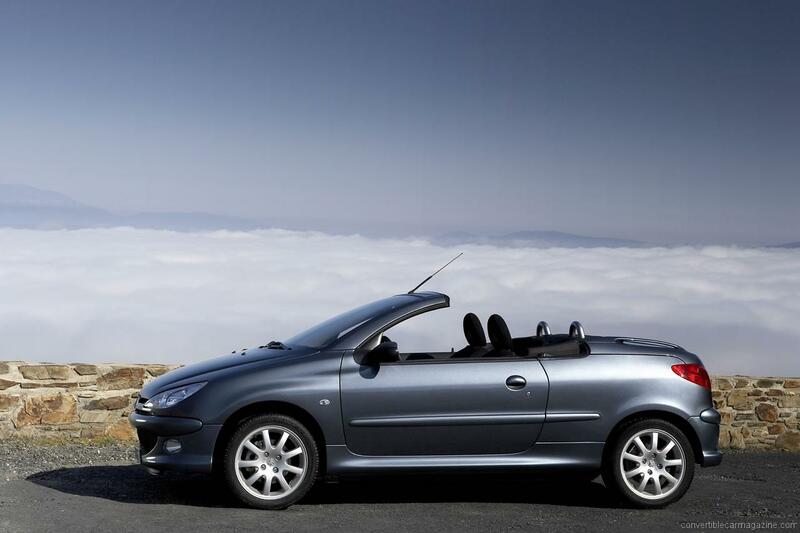 The Peugeot 206 CC was the first affordable hard-top convertible and has proved very popular with its combination of practicality and open air fun. 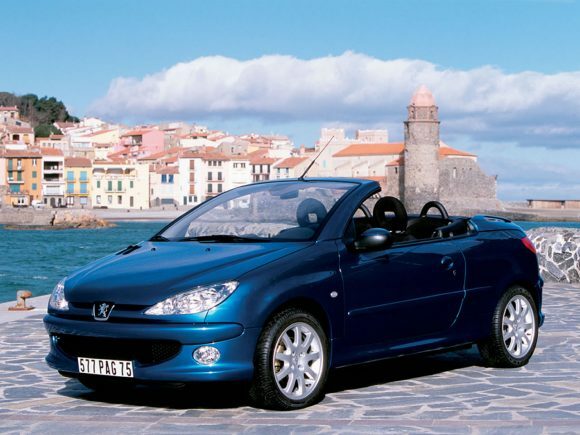 The Peugeot 206 wasn’t originally designed with a convertible in mind which resulted in a rather unusually shaped rear end and minimal boot space with the roof down. Performance is lively with the 2 litre GTI engine and it is attractive and fun but not a sportscar. 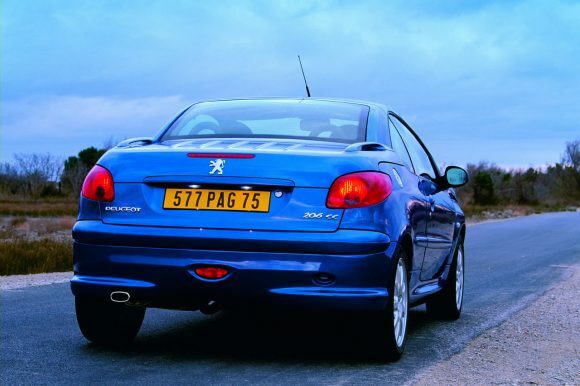 Do you drive a Peugeot 206 CC? Would you recommend it to others? Join the conversation and let us know what you think of the car. 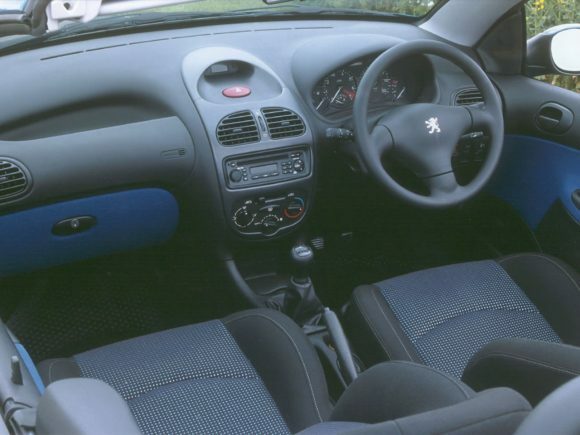 This Peugeot currently has 9 owner reviews. I want to say thank you!..for?.. keeping the price so low. As you can imagine, girls, women, LOVE this model, it is CHEAP, but most of all affordable!!! and is basically a Dream come true =D I too have just this model in red, and has YET to let me down!!!!! !…so thank you and VIVE LE FRANCE!!!!!!!!!!!!!!!!!!!!!!!!!!!!!!!!!!!!!!!! I need help ! I’m looking for handbook for Peugeot 206 cc. But for Europe not UK. Hi Silviu, Try Ebay. Also you may be able to download a PDF manual somewhere. Can this car fit 4 persons? 2 kids on back seats? Cons electric roof can sometimes not work due to sensor clip in boot.Sensor metal strip must be bent forward to make it operate. 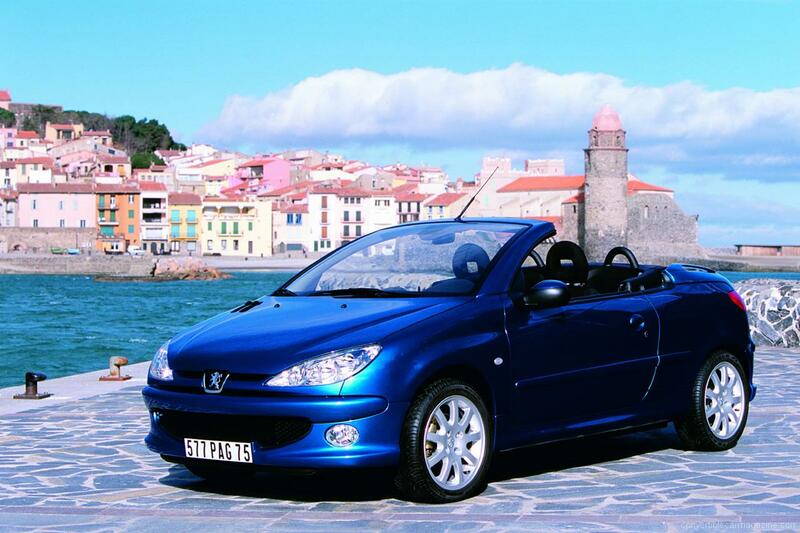 I love this car so much that I have one at my home in England and an identical one at my holiday home in Tenerife. 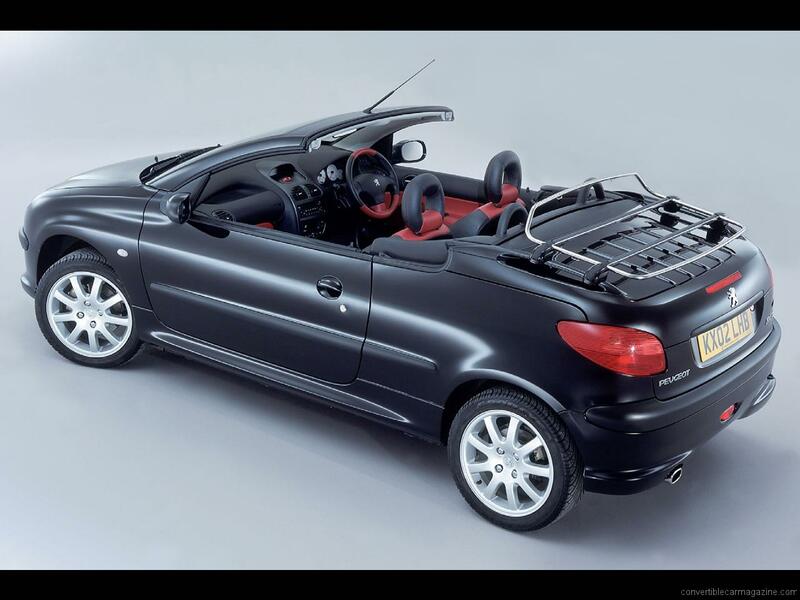 Both are 1.6 petrol, both are red and both are driven with the roof down on all occasions except when it’s raining. I ve had my Peugot 206cc brand new 2006 … I’ve just been nearly killed whilst I was stationery doing a right hand turn ..! A car failed to see me in a perfect day on a straight road ! and both cars have been written off … I’m devasted … It’s the best car ever … I’ve been so happy driving around in it ..it’s a great car .. Totally recommend it … It’s ageless … I’m very sad ?